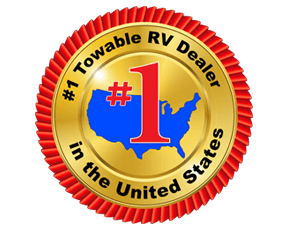 Looking for a destination trailer that will allow the children to have their own bunkhouse with a dinette to play games or complete homework, and a place for you to escape on the other side of the trailer? 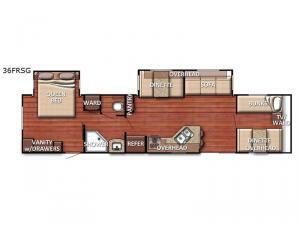 This Kingsport SE destination trailer provides those features as well as many more such as a walk-through bathroom allowing you to access the bath from either the bedroom or the main living and kitchen area. Just imagine sneaking out the bedroom entrance/exit to drink your coffee while relaxing outside before the kiddos wake up. Or you can sit on the sofa while looking out the patio doors at your favorite view. The kids will love to eat at the raised bar area with stools while you dine at the dinette. Take a look today! 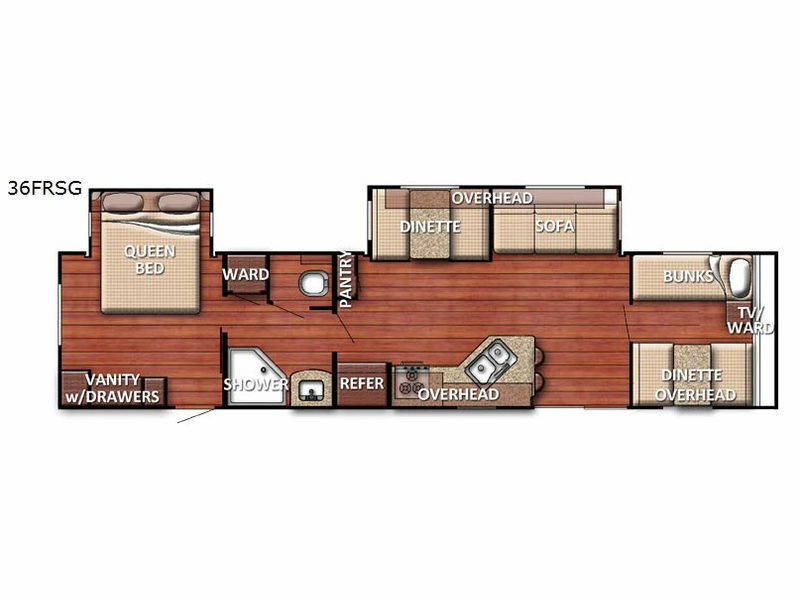 The Gulf Stream Kingsport Special Edition destination trailer includes Gulf Stream's time-honored and camper-proven Uni-Body construction, a three year structural warranty, and extensive storage space throughout. You will surely enjoy the large picture windows and sliding glass patio doors allowing more natural light inside. All you need to do is choose your favorite location, and setup this Kingsport for your get-a-away retreat!